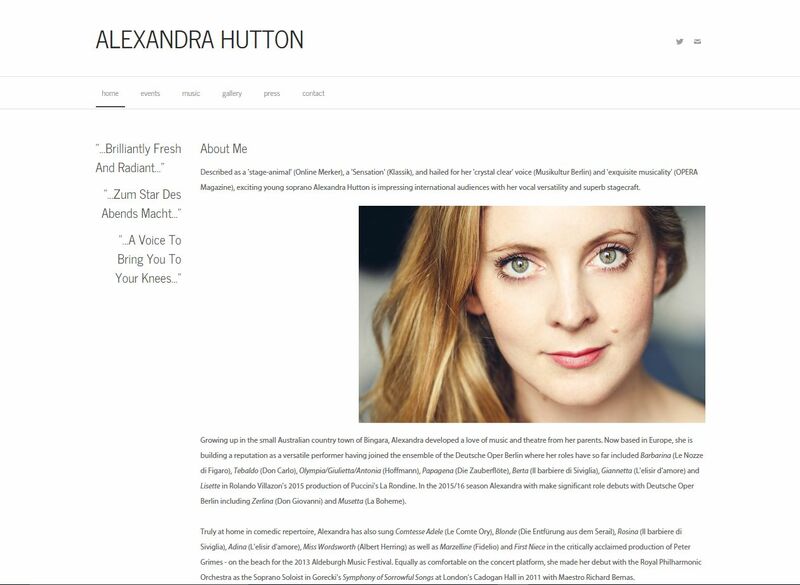 Growing up in the small Australian country town of Bingara, Soprano Alexandra Hutton is now based in Europe having joined the ensemble of the Deutsche Oper Berlin in 2013. So far her roles have so far included Barbarina (Le Nozze di Figaro), Tebaldo (Don Carlo), Olympia/Giulietta/Antonia (Hoffmann), Yniold (Pelleas et Melisande), Papagena (Die Zauberflöte), Berta (Il barbiere di Siviglia), Giannetta (L’elisir d’amore) and Lisette in Rolando Villazon’s 2015 production of Puccini’s La Rondine. In the upcoming seasons Alexandra will make significant role debuts with Deutsche Oper Berlin including Zerlina (Don Giovanni), Musetta (La Boheme) and Despina (Cosi fan tutte). Truly at home in comedic repertoire, Alexandra has also sung Comtesse Adele (Le Comte Ory), Blonde (Die Entfürung aus dem Serail), Rosina (Il barbiere di Siviglia), Adina (L’elisir d’amore), Miss Wordsworth (Albert Herring) as well as Marzelline (Fidelio) and First Niece in the critically acclaimed production of Peter Grimes – on the beach for the 2013 Aldeburgh Music Festival. Equally as comfortable on the concert platform, she made her debut with the Royal Philharmonic Orchestra as the Soprano Soloist in Gorecki’s Symphony of Sorrowful Songs at London’s Cadogan Hall in 2011 with Maestro Richard Bernas. Having first studied at the Sydney Conservatorium of Music, Alexandra joined Opera Australia’s Oz Opera School’s company, touring both NSW and Victoria as Pamina (The Magic Flute) and Angelina (Cinderella). With her vocal versatility and love of acting and stagecraft, she also appeared in many theatre and musical theatre productions in Sydney including Cathy (The Last Five Years), Cinderella/Rapunzel (Into the Woods), Jennifer (The Witches of Eastwick), Sally Brown (You’re a good man, Charlie Brown), Maggie (Lend me a tenor), Meg (Seven Little Australians), Rosina (The Venetian Twins), Avril/Mallory (City of Angels) and Hope Cladwell (Urinetown). 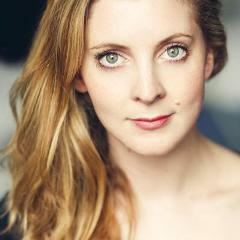 In 2009 she relocated to the UK to continue her training at the Royal College of Music where she performed selections from La Cenerentola (Clorinda), Les Dialogues des Carmelites (Soeur Constance), La Rondine (Lisette) and Der Rosenkavalier (Sophie). Alexandra is a recipient of many awards including the City of Sydney Eisteddfod Soprano Award, the Patricia Fagan Operatic Aria, Farleigh Vocal Scholarship, Herman Shildberger Memorial Award, Wollongong Eisteddfod Operatic Aria, Robert Stolz Viennese Music Society Award, as well as the Tait Memorial Trust Googie Withers Award. She placed 2nd in the 30th International Belvedere Singing Competition (Operetta) and was also awarded the Deutsche Oper Berlin Sonderpreis.